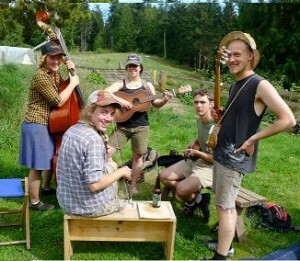 SkyRoot Farm is a 20 acre farm on the east side of South Whidbey Island. 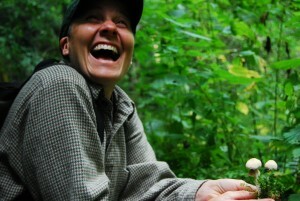 Run by Eli and Arwen, the farm is an extension of their love of ecology and their willingness to learn and share. Stopping by at the farm on any given Wednesday (to pick up your CSA box! ), you’ll see Eli and Arwen with a small crew of farm workers, including interns who are participating in the Washington State Farm Internship Program. When I began my Ph.D. our graduate program adviser, Dr. Toby Bradshaw, asked us all what we’d like to do when we finished. In a mix of foolhardy resolve and sheepishness, I exclaimed that I would like to become a farmer. 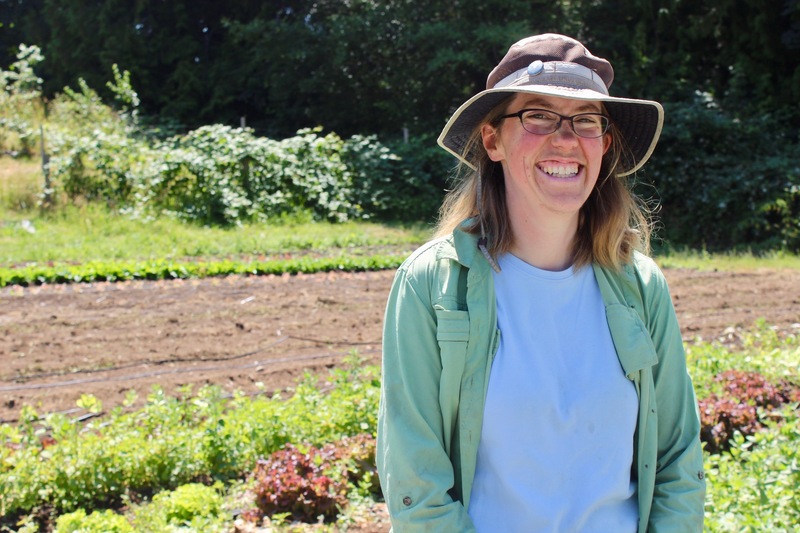 Now I have a Ph.D and I am a farmer, and I remain very excited about applying the systems thinking that I have learned as an ecologist to our small-scale diversified farm. My hope is that we can work toward a goal of developing a farm that is ecologically, economically and personally sustainable, including setting an example for farms everywhere by increasing the organic content of our soil to grow better vegetables and combat climate change! One of my early memories is of pulling out a line of weedy plants growing in a suspiciously straight line right where I had sown Shasta daisy seeds. Interestingly, no Shasta daisies ever bloomed there. In middle school, our weekly visits to an organic farm led to my first realization that I could turn playing in the dirt into an actual career. While attending UW, my habit of hanging around the Botany Greenhouse and interests in ecology and sustainability found a single outlet in the student farm. 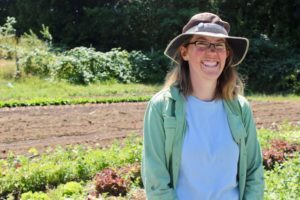 After college, I began my farming education with two internships and then started a small farm in southwest Washington. I appreciate all that I learned during my nomadic farm years, but am glad to settle in and see multiple seasons here on Whidbey. We can’t do it alone! 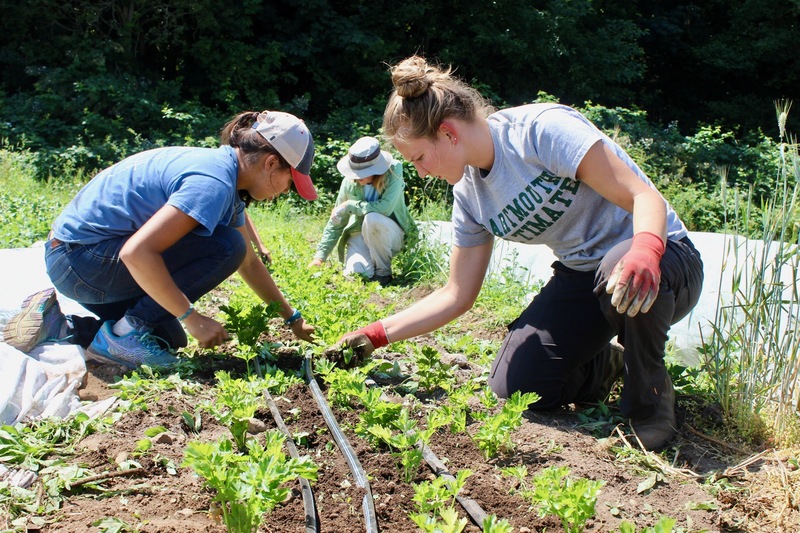 If you’d like to volunteer with SkyRoot Farm, contact us!